It’s the vote that could either plunge Italy into a fresh crisis and threaten its future in the eurozone, or hand the country a once-in-a-generation chance to streamline government and speed up lawmaking. Here is all you need to know about the referendum. What are the reforms Italians being asked to vote on? 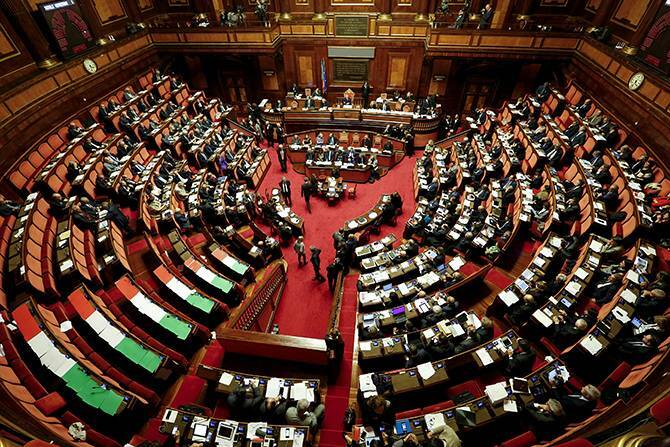 Italy is somewhat of an anomaly in western Europe, because it’s one of the only countries where the deputy chamber (lower parliament) and senate serve the same function, Italian politics expert Nicola Chelotti told Euronews. The reforms propose drastically diluting the power and size of the senate and replacing elected senators with representatives from the regions. The latter will comprise around 100 people, either mayors or members of regional councils. However it’s still unclear how and which candidates will be selected, added Dr Chelotti, from Loughborough University London. Although not directly linked to the referendum question, the reforms should be seen within the context of a new electoral law. Introduced in July 2016, it saw Italy’s lower parliament move towards a first-past-the-post electoral system. Its predecessor, proportional representation, helped smaller political parties and saw Italian governments dominated by multi-party coalitions. The new law is intended to put an end to this system, which comes with inherent instability: Italy is currently on its 64th government since 1945. The changes mean if a party now gets over 40 percent of the vote, it automatically gets a majority; if not the two top parties have a ‘vote-off’, with the winner netting the majority. This is linked to the referendum because by diluting the power of the senate, you take away something that can keep a check on the power of the government, says Chelotti. If this is coupled with more one-party governments, made possible by the new electoral law, then it opens up fears of the party in power becoming too big for its boots. What are the arguments in favour of the reforms? One of the narratives of the government, which is pushing for these reforms to be accepted, is that they will save money, both by cutting the number of politicians and getting rid of ‘useless bodies’ like the National Council of Economy and Labour. There is also the argument that by slashing the senate’s power, it will speed-up the process of making laws and reduces inefficiency. But Dr Chelotti argued there is little evidence to back this up. In fact, since the 1950s, he added, Italy has made more laws than the UK, France and Germany. He added if the government wanted to tackle Italy’s problems, the reforms should instead target administration, bureaucracy and the judiciary. What do critics of the reforms say? They claim the reforms, coupled with the new electoral law (see above), will see too much power concentrated in the hands of the government. The move to do away with elected senators and replace them with regional representatives has also proved controversial, says Chelotti, prompting even some in Renzi’s party to vote against his reforms. There is also concern over changing the balance of federalism. Chelotti says the plans are a mess, meaning fresh conflicts between the central government and the regions over who has power over what. Renzi was forced into holding a referendum after failing to get his reforms through parliament. He then made an error of judgement by staking his own future on the outcome of the vote, according to Chelotti. Chelotti says that has led to the opposition framing the referendum as a vote on Renzi and his government, rather than the specific constitutional reform on the table. Renzi has since tried to play down the link between the referendum result and his own future. 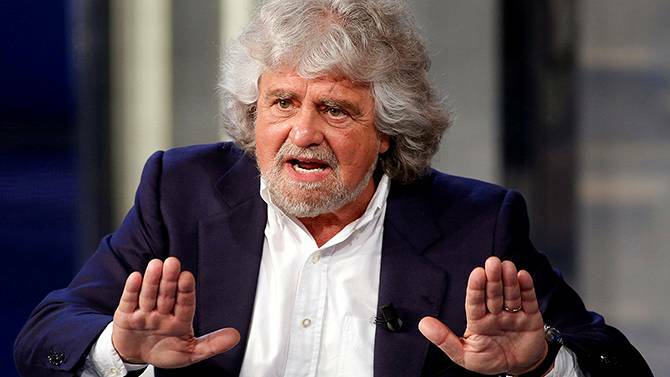 Beppe Grillo, leader of Italy’s populist Five Star Movement. 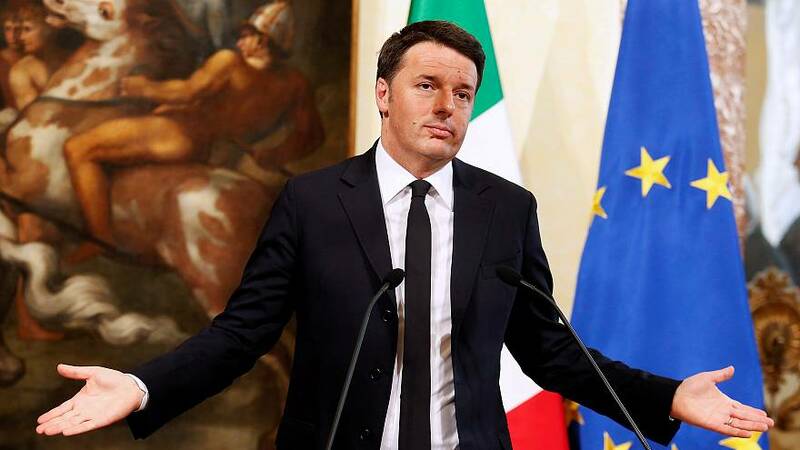 What happens if Renzi does quit? Renzi’s resignation would not necessarily see a fresh election called immediately. Italy’s president, says Chelotti, would first try and find another combination of parties to form a government. But if that fails, and fresh elections are called, that could open the door to the Eurosceptic Five Star Movement. “There’s some people who are agnostic about the reforms but might vote in favour of them because if Renzi loses and he steps down then there could be question marks over what happens next,” Chelotti told Euronews. Italy’s unemployment rate was 11.4 percent in August and has debts of 132.7 percent of GDP, the second highest level in the EU, after Greece. Italian banks have massive bad debts, and may need a significant injection of funds. The IMF says Italy’s economy will not return to levels seen before the crash in 2008 for at least another decade.